You must make reservations at least 5 minutes in advance of the time at The Ellis. IN THE HEART OF KITSILANO, IS OUR VISION OF A COZY EUROPEAN TAP HOUSE FEATURING PACIFIC NORTH WEST COMFORT FOOD AND FINELY CRAFTED DRINKS. Whether celebrating a special occasion with family and friends or hosting a corporate event, The Ellis can accommodate all your special event needs. Fantastic staff, super accommodating for our large group that kept changing size (~30). Great place for a party! Nice vibe, bright, modern. The staff was very friendly and on top of it. The food wasn’t bad; a little overpriced. The coffee was excellent. Reservations aren’t a must unless you insist on a low rise seat—they filled up fast. Perfect way to break up a nice walk in the heart of Kitsilano. The food was great and portions really large. The only thing that stops us from giving it 5 stars was the 5oz wine at $12 per glass and bottles at almost 3 times the price. This isn't Bishop's. Beers were reasonably priced. Too bad as the food is really good but won't be back as often as we like our wine with meals. Absolutely delicious food! Service was attentive, environment was casual - if it had been busy, it would have been loud, but it was a perfect Sunday afternoon spot for us! The food and service here was amazing. We ended up ordering the cauliflower three times because we loved it so much! Will definitely come back for more. Service was a bit lacking but doos surprisingly good and tasty. 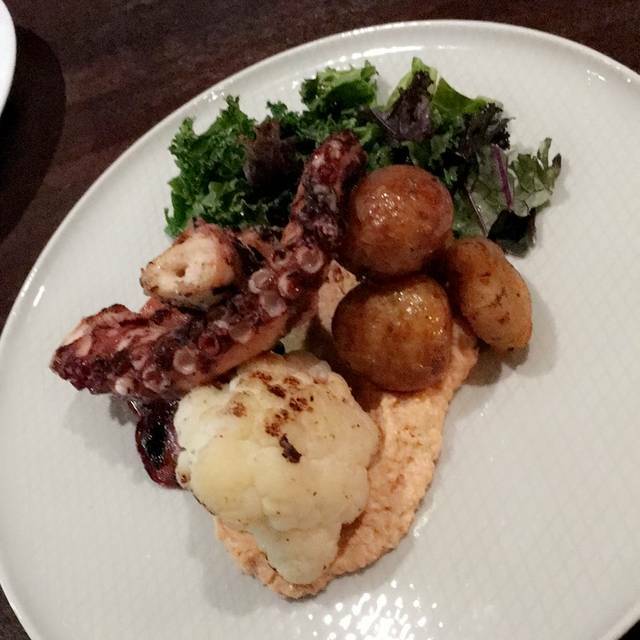 Highly recommend the octopus- absolutely amazing!!! Had the portobello mushroom benedict. It was delicious over biscuits instead of the usual boring english muffin. Highly recommended. The food was excellent! We each had an excellent piece of salmon, cooked perfectly. The service was helpful, knowledgeable and very friendly. We will definitely come back. Overall, the food and service was great. There was a loud table of young college guys, and a holiday party, that made it less ideal for dining. Definitely more of a neighborhood bar, that also happens to serve food. Staff were amazing and food was delicious. The only thing was that the live music was too loud with people talking. Not a good place if you want to have a conversation unless you get a seat at the back. But we really enjoyed the foid, musician was great. Great service, relaxed vibe, but the food was hit and miss, and a bit overpriced for what you received. They do bar food well, but overreach in some of their fancier offerings. We made reservations to have dinner after a show. None of us had been to The Ellis before and we were pleasantly surprised! The atmosphere was friendly, lively and definitely comfortable. Our waitress was awesome and the food was terrific. Some of us had full meals (ribs, cornish hen) and others had appetizers (roasted cauliflower, chicken wings). Everything was delicious. It was one of our party member's birthday and our waitress asked if it was alright if she brought a treat to the table. It was a plate of beignets - enough for all of us to enjoy. It was the perfect ending to a wonderful evening. And the prices were very reasonable. Would definitely recommend! The Ellis was great! Best mojito I’ve had all summer! The grilled octopus was great, and my partner loved the bison burger. The gnocchi could have been better. 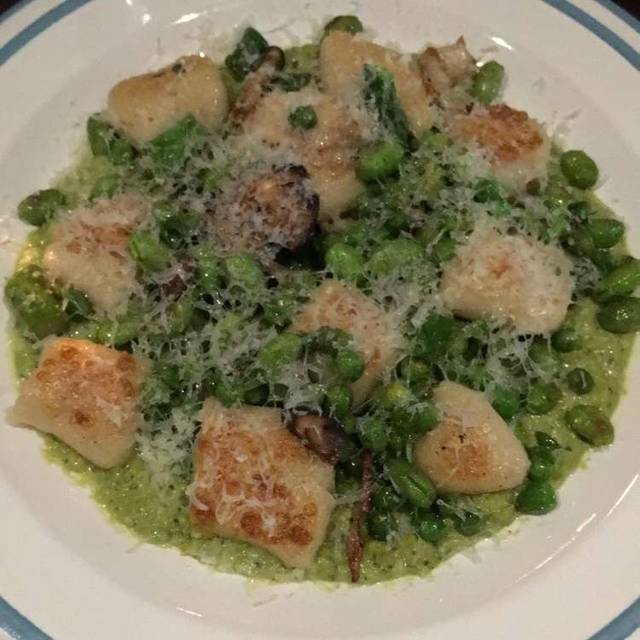 Not enough gnocchi pieces and too much dry edamame. Otherwise I’d go again! Asked for the bill and it never came. Eventually had to go to the bar to pay. The Ellis was a gem! The food was delicious; we particularly liked the wings and cucumber kale salad. Save room for dessert- we loved the beignets. Very comfortable, casual setting. Outstanding, friendly service! Great food, great service. Was celebrating my birthday with some friends and we had a great time, they even brought out a surprise birthday dessert! Fantastic addition to the neighbourhood. Appetizer got “lost”, arrived with dinner, so waited 45 mins before anything came. Got an apology but no offer of a write off of any kind. Food was basic but good when it did arrive. Good menu and drinks list. Great food, super friendly & accommodating staff - and in a great neighbourhood! Great place - a true neighbourhood gem. Relaxed atmosphere and when it got full we didn’t feel we were too close to anyone. Great space, service and eats. Grilled Octopus was a real treat. Definitely looking to return soon. Food and service were both amazing !! Will be back! I booked a table for breakfast with friends at 9:30am and found out on the day of the booking that the restaurant didn't open until 10am. I'm not sure why earlier times were available when the restaurant wasn't open. We went elsewhere. I personally expected a bit more, food wise. I ate a veggie burger and can say that there wasn't anything special about it. The atmosphere was nice which I appreciated. So not quite sure what to make of The Ellis. The food was great So that’s a plus. The restaurant is somewhere between a pub and a restaurant and I think it would be better as one or the other. We were having a bite on the restaurant side while there was a lot of shouting coming from the shuffleboard table and my wife was staring at the big screen behind me. The atmosphere is more casual than what I had figured going in. Would definitely give the patio a try in the summer.